This evening, Rick Perry heads to Wheeling, W.V. for a private fundraising event hosted by Bob Murray, founder and CEO of Murray Energy. Does that name ring a bell? It should: Murray Energy was the lead partner in the Crandall Canyon mine in Utah where nine miners were killed in 2007, six in an initial collapse and three more who went in 10 days later on a rescue mission. 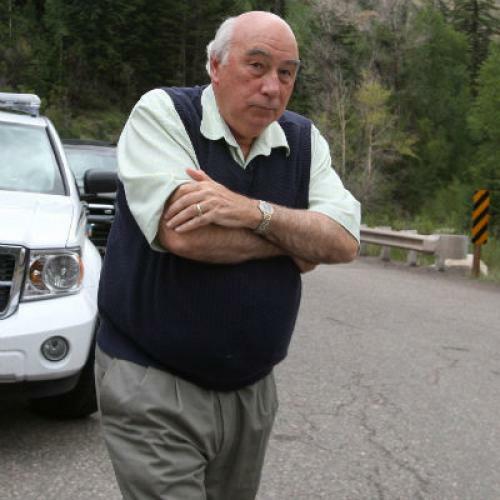 And Bob Murray was the man who dominated the airwaves in the days of anxious waiting after the initial cave-in with his grandiose and defensive statements outside the mine, including (unsubstantiated) claims that the cave-in had been caused by an earthquake, and not by the company's use of an unusually risky and careless mining approach. As it happens, I had a long interview with Murray a few months prior to the collapse, for a piece I did on Barack Obama's conflicted relationship with the coal industry, for which I traveled to southern Illinois to tour a Murray mine (the Crandall collapse of course left me deeply grateful that nothing similar had happened when I was deep underground at the other Murray facility -- 600 feet down and 3.5 miles across from the elevator shaft.) Murray is a true self-made man. He comes from three generations of coal miners in southeastern Ohio, his father was paralyzed in a mining accident, and he himself has been injured below ground. (At Crandall Canyon, he pulled back his shirt to show reporters one scar.) He rose to chief executive of North American Coal but left in 1987 and then took out a mortgage on his house to start his own company. With eight mines in six states and 3,000 employees, Murray is now the country's largest independent, family-owned coal producer. His blue-collar roots have left him with a strong grudge against coastal elites who work in air-conditioned offices and are too squeamish or out of touch to think about where the electricity comes from to power their laptops, stereos and espresso makers. "These people from California and New England who run the government have no idea what it's like for someone to put on a hard hat and go to work. They have this Olympian detachment," he said in the interview. When he went to testify on Capitol Hill this year, he recalled, "I asked them, 'Do you know what it is to carry a bucket or wear a hard hat?' And they didn't even know what a 'bucket' is. I had to explain to Nancy Pelosi that it was really a lunch I was talking about." His scorn sweeps far beyond Democrats in Congress, whom he's tried to counter with heavy contributions to Republicans, including $100,000 from his political action committee to GOP congressional candidates last year alone. He is deeply skeptical of the scientific consensus that global warming is being caused by the burning of fossil fuels such as coal, preferring to lend credence to outsider theories for climate change, such as sunspot activity or a shift of Earth's magnetic north redirecting ocean currents. He has withering criticism for fellow energy executives who are looking for ways to reduce carbon dioxide emissions, saying they are in it for their own gain and will harm the economy. He is virulently anti-union -- he has fought to keep all but one of his mines from organizing, telling his workers "these people are not your friends" at the regular question-and-answer sessions he holds at his mines, and he mocks the United Mine Workers of America by noting that it now represents but a sliver of the nation's miners. "Their clout is unbelievable only because of the amount of money they pump into" politics, he said. Hmm. A man who has made his way up from a proud working-class family, who harbors scorn for coastal elites, and who doesn't believe in man-made global warming. Does that sound like anyone you know? He and Perry should have plenty to talk about tonight in Wheeling -- though probably not about Crandall Canyon. Barack Obama, Rick Perry, Bob Murray, Wheeling, Illinois, Utah, Ohio, W.V.